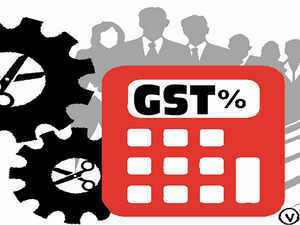 The IGST came in at Rs 47,000 crore while the CGST and SGST stood at Rs 17,600 crore and Rs 24,200 crore. Businesses like restaurants, banks, hospitals etc. can lose opportunities to competitors who provide rich data and advertise their business effectively with the use of say, Google Posts on their Google listing. There is a thin line between perquisite and business expenditure and the ruling does not do anything to reduce confusion. ​​The government late last year had come out with credit utilisation mechanism that companies have to follow beginning this month. The Indian warehouse industry is booming with supply, which was a limited commodity earlier, increasing with every year that passes. Under the new system, input tax credit available to businesses would only be limited to the extent it is reflected on the GST portal. The apex body of the Indian auto component industry has pitched for increasing the rate of weighted deduction on R&D spend and called for a reduction of import duty on aluminium and steel. The new system will bar businesses who have not filed returns for two straight cycles, from generating bills. The finance minister also said that the annual turnover for availing composition scheme has been increased to Rs 1.5 crore from Rs 1 crore, effective from April 1, 2019.